Reading and share top 8 Andrew P Harris famous quotes and sayings. 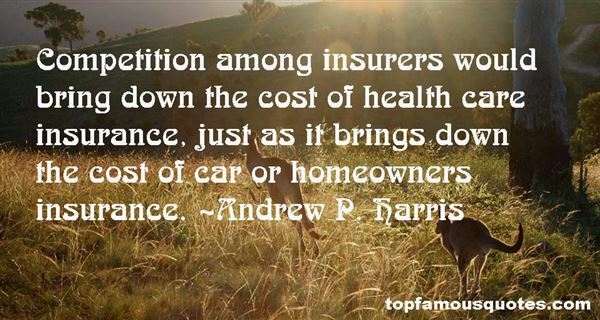 Browse top 8 most favorite famous quotes and sayings by Andrew P Harris. Winslow hurled stones at the little tree. Wrung its trunk as if it were a throat. He flailed and throttled the sapling to the ground. Winslow hugged its limbs and tried to weep, but was, at last, dry of tears. Under a pale moon, Winslow knew he no longer belonged to the world of men and would forever roam the woods as a lost son of the civil." What Did Andrew P. Harris Talk About?